It should always be your top priority to offer great service to your clients. Provide value to all clients, including those you have already worked with. It is important that you keep in touch with clients, maintaining a solid relationship with each one. Sending an email, newsletter, or text message every once in a while can be quite helpful. It is always a good idea to politely request referrals from those you work with or interact with regularly. Just make sure that you are not infringing on another person’s work, and make sure that you have established credibility with each other before making this request. You can build many relationships simply by hosting events, whether they be housewarming parties or corporate holiday get-togethers. These parties and similar events can make it easy to get to know colleagues and others in the industry without the parameters of business. We are constantly communicating. Why not turn your daily actions into referrals? If you are a real estate agent and you have a friend who is a lawyer, you may be able to refer clients to each other. Helping each other out benefits both of you, strengthening your business relationship along the way. It is always best to build trust with other business owners and agents before asking for agents. This is because those who send you referrals want to know that they are doing their clients a service. They want to know that you are going to deliver on your promises to your clients. The key to getting more referrals in the future is often to show that you appreciate those you have already received. Offering a reward or incentive to those who help you can encourage them to continue doing so. This could be anything from a referral program in which monetary incentives are gained, or a simple plug on social media. Continuing education is one of the keys to learning how to attract more clients, whether you benefit from referrals or not. Contact us for more information about continuing education courses available for real estate agents in your area. Being a Maine realtor offers many opportunities to get ahead in your career and increase your earnings through real estate continuing education courses. Although courses are required in order to renew a realtor license, there are a number of reasons why taking these educational courses can help a realtor expand his or her knowledge, grow in this field and increase sales and income. Are you a realtor who has the answers to a client’s questions, no matter what they are? If you are, you probably got a lot of that information by taking continuing education courses. 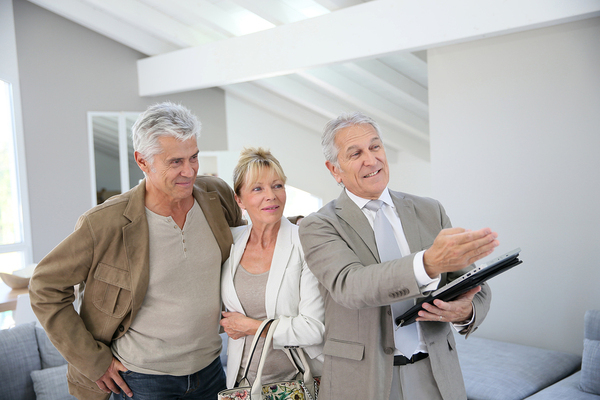 A knowledgeable realtor attracts clients who are interested in finding properties. The end result is more sales for the licensee and a higher income. According to the National Association of Realtors, home sales are on the rise with an increase in gains for 50 months in a row. Statistics from April show a 6.3 percent increase over the same month one year previous. In addition, 45 percent of the properties sold during April took fewer than one month to sell. Predictions are that property sales will increase at a slow but steady rate. This makes it a good time to enter the field for those contemplating real estate sales as a career and might make it a good idea for those with lapsed licenses or facing renewal to complete required educational courses, so they may take advantage of the upswing in sales. Continuing education courses can help a realtor develop a niche real estate market by offering subjects that help develop a realtor’s knowledge and expertise in certain areas of the real estate market. 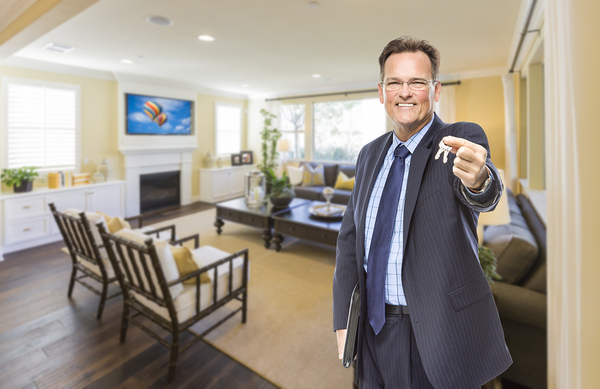 By becoming known as an authority in a particular area of real estate sales, this can result in potential clients seeking out a niche realtor. Areas to specialize in include buildings utilizing green technology, special adaptations, single-family or luxury homes, vacation homes or first-time buyers. Single-family home sales can be a niche market. As realtors may know, millennials now represent 32 percent of all housing sales. Sixty-eight percent of those millennials are first-time home buyers, according to a report by the National Association of Realtors. Millennials are not only buying single-family homes but some are looking for fixer-uppers because it gives them the ability to customize a home the way they want. Besides being a good niche market, it gives realtors the opportunity to move properties that would be more difficult to sell. In addition, a survey by TD Bank showed that of the adult millennials who were asked questions about their interest in purchasing a home within the next two years, almost half said they would. Licensees know the importance of keeping up with the latest Maine regulations and laws that affect real estate. In addition, new education courses are introduced to keep up with trends and broaden a realtor’s skills. This not only helps a realtor know how to deal with an unforeseen situation but lets a licensee expand into new areas of the real estate market. This increased knowledge and skill can improve a licensee’s ability to deal with potential clients and broaden the client base, resulting in increased revenue. Real estate professionals in Maine want to take their required education courses with the least amount of hassle, study when it is convenient for them and pay a reasonable cost for the courses. Most states, including Maine, allow a licensee to complete those requirements easily. The 21 hours required every two years from the date of license issue is easiest to comply with by taking either online courses or through correspondence. All courses must be preapproved and successful completion certificates supplied as proof. PDH Academy offers the 14-hour preapproved elective courses for Maine realtors that will fulfill your requirements, other than the core course. Some licensees prefer to take courses by correspondence that comes in handy booklets. Others prefer online courses that are accessible through a laptop, tablet, Android, iPod or iPhone. Either way, you have the convenience of studying at any place or time. Once completed successfully, PDH sends you a completion certificate and reports the results to the Maine Real Estate Board. If taking correspondence courses, a grade of 85 is required in order to passe. PDH also offers courses in a number of different states, which is a convenience for realtors who are licensed in other locations. We also supply support by email or phone for any assistance required. Contact us for more information or to sign up. For New Jersey realtors, real estate continuing education is a necessity. Thanks to modern technology, real estate agents may now take courses online as well as in person. Still not sure if you should be taking continuing education courses? Here are a few reasons to consider signing up for classes. 1. You can take classes online. With the availability of online classes, real estate agents do not even need to visit a classroom. You can complete your classes at the computer or perhaps even on your smartphone. 2. You can develop certifications. Continuing education could be the key to reaching a higher conversion rate. With additional education, you may become an accredited land consultant or residential manager. You can also become a certified property manager, relocation professional, or broker. 3. You will develop more power. Understanding the legal aspects of real estate sales can help you make better choices for your own business. You will also have a better understanding of tax law and financial issues so that you can educate your clients easily. 4. You can start your own real estate firm. If you ever decide to break away from the company you currently work for, you will have no problem starting your own firm with the education you gain. Continuing education courses will help you find solid footing in the business arena. 5. New Jersey has real estate continuing education requirements. Every state has unique requirements for its realtors. In New Jersey, you are required to complete 12 credit hours of continuing education. Half of these credits are required to be related to core topics. Two credit hours must be related to ethics in real estate. 6. You can stay up to date with changes in the real estate industry. Things change quickly in the world of real estate. You may face a tax issue or an ethical dilemma. Gaining a solid understanding of fair housing laws and financial laws is important if you want to improve as an agent. You can also learn more about sustainable housing and eco-friendly options that have started to pop up more often. A competent real estate agent relies on the education they gain from these continuing education courses. 7. You will build credibility as a real estate agent. If you have ever tried to be more credible as an agent, you might consider taking real estate courses. You can list your expertise on the website to promote your areas of knowledge. Real estate continuing education is an essential component of working as an agent. You must know about much more than buying and selling homes. Contact us for more information about pursuing your education as a real estate agent. Continuing education is required in numerous professions, including for teachers, realtors, and architects. Kansas realtors have a number of reasons to take courses throughout their careers that can increase their knowledge and skillset. When marketable skills are increased in a field, it can result in a potential increase in income and broader client base. Learn some of the reasons why real estate continuing education for Kansas realtors can be of benefit for those realtors who are currently licensed and those who have allowed their licenses to become inactive. Many states, including Kansas, allow a licensee to use online or correspondence courses to complete educational requirements needed for relicensing. This is a far cry from the old-fashioned classroom study sessions that were crowded and sometimes held in places and at times that were inconvenient. Relaxing at home or on the go when you have a few free minutes to study takes the challenge out of meeting those requirements. With a 6.3 percent increase in April over the previous April, showing 50 months in a row of housing sale gains, it’s a good time to increase your real estate knowledge through education. According to the Kansas Association of Realtors, in May 2016, home sales had risen by 1.3 percent over the previous year, and the average price of home sales also increased 2.7 percent. In addition, mortgage rates are expected to stay low, and that makes it a good time for potential home buyers to shop for their dream homes. With this surge in home sales, this is a good time to renew an inactive license, keep your Kansas realtor license current or even think about going into the field of real estate. Continuing education helps a realtor enter into a niche market. A survey by TD Bank shows that millennials are purchasing 32 percent of the homes being sold and almost 70 percent of these sales are first-time home buyers. Affordability is a big reason millennials choose an area, and Wichita in the top ten cities for home sales to millennials. Being a realtor means flexible hours, new challenges every day, the ability to be creative and being your own boss without much interference. Licensees know that it is important to keep up with the newest regulations and laws that pertain to their state, and taking education courses to do so is a necessary part of being a realtor. Many realtors develop niche markets in real estate to attract buyers who are looking for those types of properties. When a realtor specializes in a niche market, potential buyers come to you. Some niche markets include houses that are adapted for the disabled, single-family homes, green technology, luxury or vacation homes. By taking continuing education, licensees can take courses geared toward these niche markets, and by doing so, increase their expertise and skills. Taking real estate continuing education courses through online or correspondence is a popular way to meet requirements, renew a lapsed license and lets you do it in the comfort of your home or any time or place where it is convenient. Some licensees prefer studying by correspondence by using booklets because it is easy to refer back to clarify points. Others prefer online courses that can be accessed through a laptop, tablet, Android, iPhone or iPad. Because these options make it so much easier than classroom study, completing education requirements was never easier. PDH Academy offers Kansas brokers and salespersons the courses they need to complete education requirements in their choice of correspondence or online. While courses can be chosen individually, you can save money by signing up for a renewal course bundle. As soon as your courses are completed successfully, we notify the Kansas Real Estate Commission of this completion along with the hours. You can retake exams free, stop and start at any time and we offer both email and online support. Contact us for more information, and learn how comfort and convenience at a great price are a big reason to complete your education requirements the easy way. With so much shopping already happening online, it only makes sense that more consumers are turning to the Internet to browse for homes as well. Trends support the notion that online real estate sales will grow in the future. There are plenty of reasons for this, including the fact that information is accessible much more quickly on the web than via phone or in person. The growth of Facebook, Instagram, and Snapchat is sure to make a difference in the way real estate agents approach sales. What Will Happen to Real Estate Agents? Real estate agents are going nowhere. While many people will turn to the web to shop for a home, it is clear that many will opt to do what they have always done in the past — work with a real estate agent. The best way to ensure that you do not fall to the wayside is to keep up with the ongoing changes. Even today, many consumers begin their search for a new home on a mobile device. For this reason, focusing on digital marketing is essential for all real estate agents. Creating an effective online presence is the best way to convey your message, as young consumers are likely to Google you before they give you a call. It is never too early to begin building up social media profiles for your real estate business. If you do not have the time to manage your profiles, you can hire a professional to manage digital marketing for you. Today, shoppers want immediate access to service. 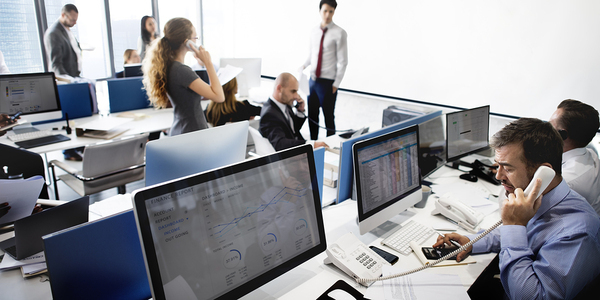 The more information you can provide quickly to your clients, the better. For this reason, more real estate agents are creating their own smartphone apps. This boosts your productivity and gives your customers a better experience. You can allow consumers using your app to share information, complete applications, connect with financial resources, and even receive notifications when the prices of homes change. As millennials become homebuyers, paying attention to their needs is essential. When you provide your customers with easy access to financial resources, they may be able to complete lending procedures quickly. Companies have started to develop technology that makes lending easy, ensuring that consumers have easy ways to upload documents securely. Building loyalty may be easier thanks to digital marketing. Business referrals are easy with social media, especially now that it takes a simple Facebook “like” to reach new audiences on the web. You can also ask your clients to leave reviews on sites like Zillow and LinkedIn to demonstrate to future clients that you are helpful and effective. 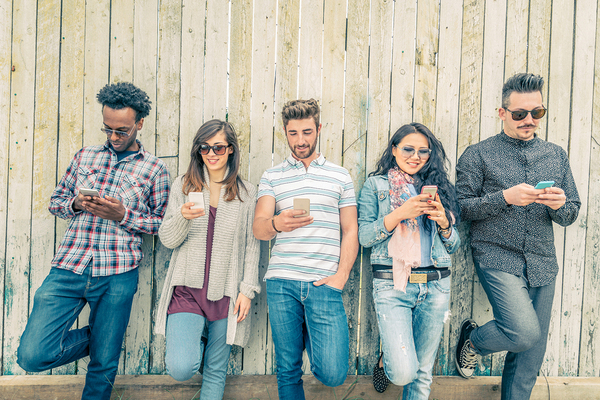 Millennials are the future of homebuying, so appealing to digital strategy is essential. It is no longer a luxury to have a strong Internet presence. Contact us for more information about staying up to date with the future of real estate. It might not seem like a contentious issue on the surface, but there are actually many issues surrounding the placement of real estate signs. Even veteran real estate agents are not always sure where to put signs sometimes, and a lot of it is based on guesswork. Still, there are some practices most agents consider to be typical. It all comes down to what kind of property you are considering for sign placement. The general consensus is that you cannot place a real estate sign on private property without permission. If you leave your sign on private property without permission, it may very well be discarded by the owner of the property — and this could be totally legal. Some areas are considered public rights of way, even if they are located in front of a residence. In cases like these, the decision whether or not to ask for permission can be difficult. It is important to remember that city codes and neighborhood associations differ from location to location. Some cities allow for real estate signs to be situated in these areas for certain days and times. For instance, you may be able to place the sign on Friday at 4 p.m., but not Sunday at 12 p.m. Some locations are hard to decipher. A patch of grass might technically be in front of a home, but the land could belong to the city. Generally, you should always do your best to ask permission before you place a sign in a situation like this. If it appears that the residents of the home are not there, most real estate agents consider that it is okay to place a sign on public property. Public property? You are usually free to place a sign. 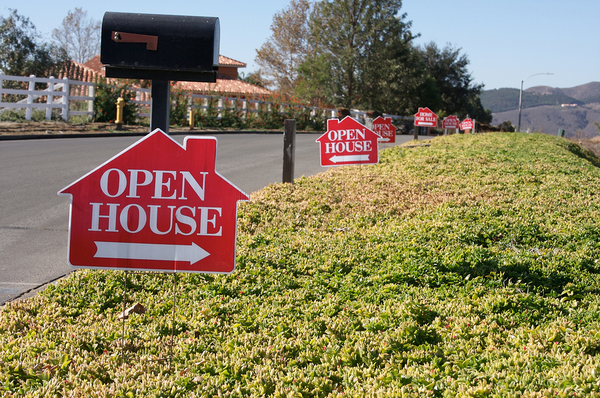 If you find a real estate sign on your property, you have several options. While it may be considered fine for you to remove the sign, it is often much more helpful to get in touch with your neighbor or the real estate company. Together, you can work out a way to display the signs and sell a home without disturbing anybody. Ultimately, it is your goal to sell the home. The location you choose for your sign needs to be prospective for several reasons. You want it to be seen, but you also do not want to sabotage your chances of selling the home by placing the sign somewhere a homeowner may choose to get rid of it. Do you still have questions about how to place your signs? Contact us for more information about real estate best practices.